Apply constraints to a dynamic quadrilateral. Then drag its vertices around. 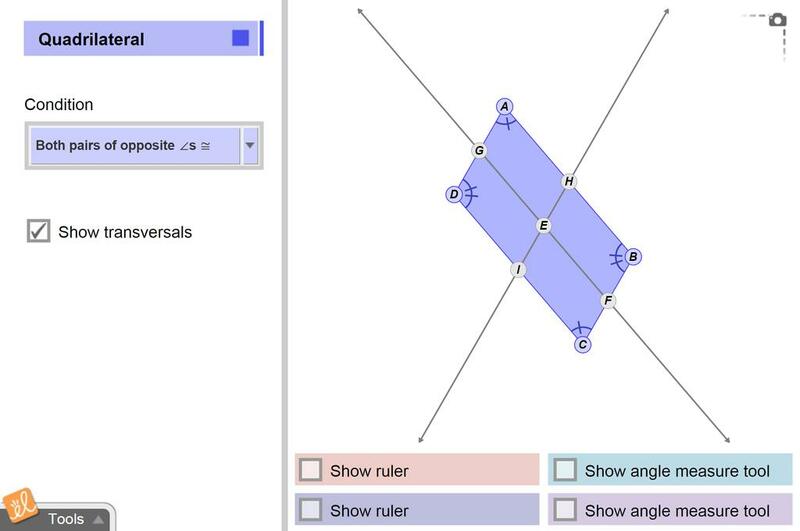 Determine which constraints guarantee that the quadrilateral is always a parallelogram.